Next stop on Oman tour : Greenback Turtles in Sur. 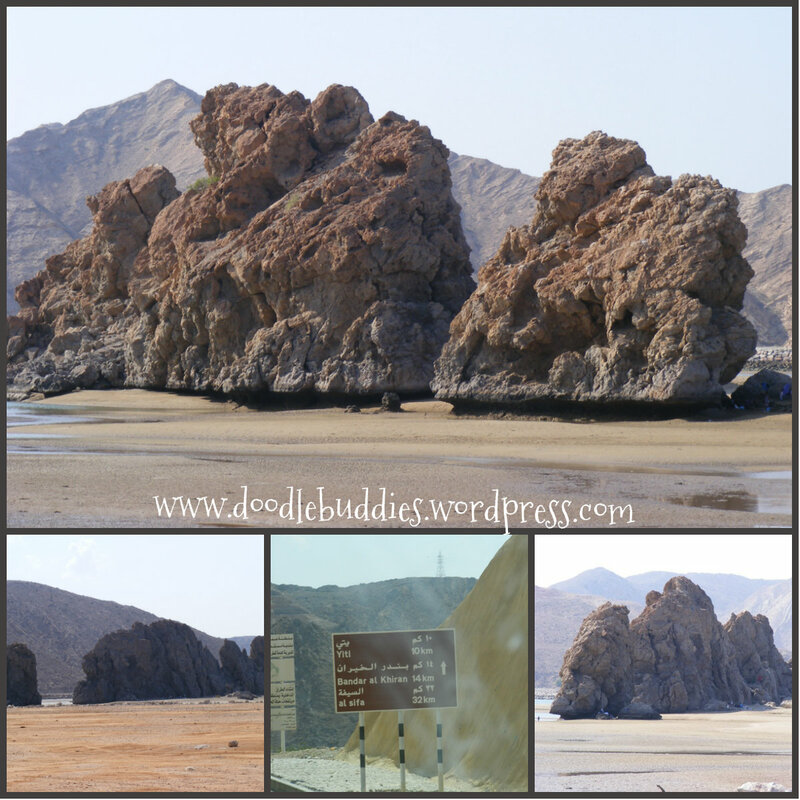 I am continuing my travel-log about our recent visit to Oman. Please see here and here for our previous two day posts. 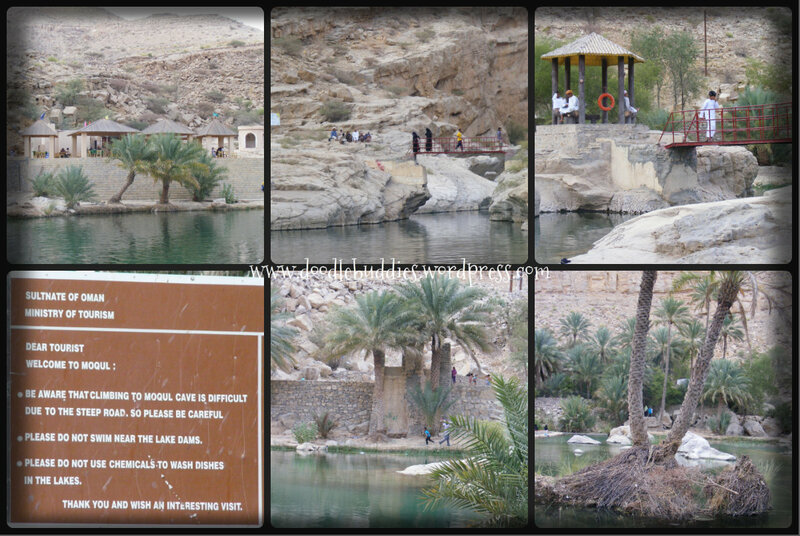 Having spent a beautiful day at the refreshing pools of Wadi Bani Khalid, we decided to move on by 6pm. We intended to stop over at Sur. Sur is the capital city of Ash Sharqiyah Region ie NorthEastern Oman, on the coast of Gulf of Oman. Its nearly 400kms from Muscat. However from Wadi Bani Khalid, it took us nearly 150 kms to Sur. This city is historically known for being an important destination point for sailors. Today the city has retained its reputation as a major dhow-building town, the very same vessels that were used for trade two centuries previously. Naturally the sea plays an important part in every aspect of the peoples lives in this region. However the city is a tourist magnet for its Greenback turtles as well ! Sur has a nice long beach and its beaches are egg laying beds for the Greenback turtles. 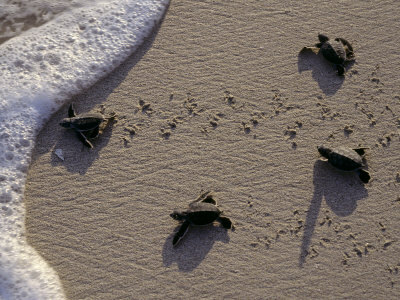 Ras Al Jinz is a small sandy bay where greenback turtles come ashore to nest all year round. The turtles come from the ocean in the mid-night, dig the trench, lay their eggs, cover them with sand and go back to the ocean. Although it is a very slow process, it is rather fascinating how tirelessly ( for nearly 2-3 hours) the turtles, practice and carry forward this tradition instinctively. These turtles are rather large and hence to see them in their holes, tossing out sand with their flippers and lay their eggs is truly an amazing process ! It is an experience in itself ! 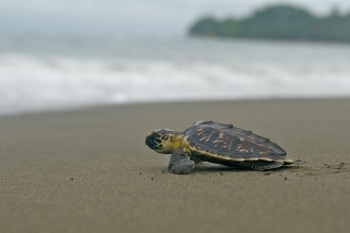 Apparently, over 20,000 female turtles return yearly to this beach where they were hatched in order to lay their eggs. Omani government plays an important role in protecting these turtles and has harsh penalties for disturbing the females or their eggs. The only way to visit the beach is through the Ras al-Jinz Scientific and Visitor’s Centre, where you must make a reservation to visit the site with a tour guide after 9 p.m. Although previously when we had visited Sur, there was no formal system in place, however we were pleasantly surprised that this time around, the beach, which is around 50 kms from Sur, is monitored by the police. One has to enter before 8:30 pm and they are very strict about entrance time. There is a quota system for the number of vehicles each night. Ofcourse honking is forbidden and one has to follow lines and park only in designated areas. Children have to be controlled too and mobiles on silent mode. Naturally since Turtles are sensitive to noise and light, silence is a must and flash lights/torches should only be used to find missing children !!! I was pleased to see that the government was making improvements to conserve this beach and the turtle egg-laying process. Man is at a loss ~ unless he respects NATURE. Every so often, you come across a selfish moron, who does not show any consideration for nature and all that comprises nature. Introducing the moron, who happily, takes pictures of our mother turtle, shooting flashes of light here way, so as to capture her agonizing, egg “dropping” process ~ oblivious of how his sheer presence must be so annoying to her. The pictures, here, of the young hatchlings dont belong to me, since I did not want to disturb the little babies with my camera. I would always recommend that anyone interested in this spending overnight in this absolutely amazing beach , carry some carpets/rugs, some snacks, a torch (not to point at the turtle, but just incase you lost something) some water and just relax on the beach under the moon light. It is truly divine. However, please remember to leave the beach as clean as you found it, when you arrived !! Carry your plastic bags to throw your litter in. Oh yeah, and for people like myself, worry not, there are toilet facilities available !! 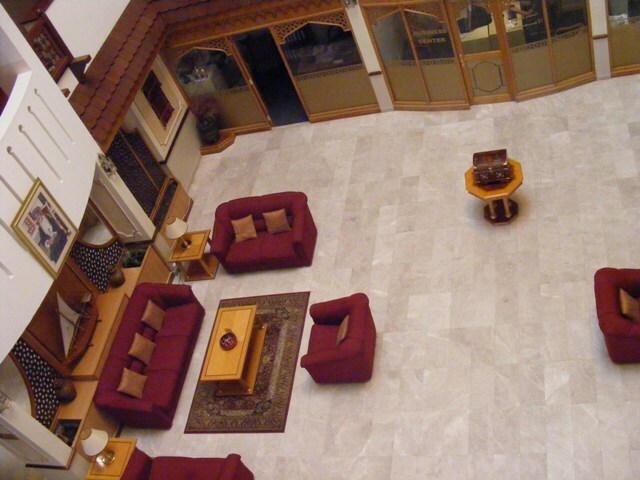 Ras Al Hadd is also an ideal option if one wishes to stay close to the beach in a reasonably good chalet-like set up. Only a short distance from Ras Al Jinz Visitor Center. Since we reached Sur, rather late and did not have a reservation booked in any hotel, we were turned down by several hotels due to the Eid Holidays. Finally we got two rooms in Sur Plaza hotel. The hotel was comfortable, the rooms spacious and clean and the staff, professional and helpful. After such a hectic day and a sumptuous dinner, we all just crashed out in our rooms !! Next morning, after a refreshing swim in the pool and a pleasant breakfast, we packed and left for the our next destination. I do hope, I have inspired you to pop over at Google Map or such, and atleast check out, where Oman is located and what it has to offer. Truly, its a phenomenal destination with sleepy villages, enchanting coastlines, refreshing wadis enveloped in the Hajar mountains, miles of everchanging landscapes and a few modern cities in between. Oman provides a very complete ARAB experince. BTW, Just FYI Oman Government or Oman Tourism has not paid me to write this blog. I have been visiting Oman since 1998 and 14 years later, this magnificient country still does not seize to amaze me with its natural beauty and hidden treasures of Wadi’s and caves. Eid Trip to Muscat ~ Day 2. Wadi Bani Khalid. Oman may be thought-of as Dubai’s Sleepy neighbor, but as you discover Oman you’ll find a world of dramatic mountain scenery, pure white sand beaches, the warmth of traditional eastern hospitality, ancient ruins and bustling markets where life has remained unchanged for centuries. It is not completely defaced by shopping malls or high-rise buildings so is low-key, modest and sleekly traditional. It was another early start and after enjoying the delicious buffet breakfast, we headed off to Wadi Bani Khalid. It took about 4 hours to reach the Wadi itself. Located approximately 270km from Muscat and famous for its natural beauty. The road networks are very elaborate and well maintained but I feel, the sign boards are not very tourist-friendly. It can get quite confusing. But then again, it is a large country and they are still, in the process of developing their tourism. From Muscat we head southward on Route 23, from Rusayl Industrial area to Nizwa/Sur. Some of the major cities that follow on this route are :- Fanjah, Bidbid, Al Ahmadi, Ibra Airport, Ibra city, Mudhaireb. There are three fuel stations in Oman, namely, Oman Oil, Al Maha and shell, which line this route at convenient spots. There is a large area after Ibra, where they have Tourist Desert Camps, I believe, they are similar to Wahiba Sands (which is also on the same route) Since we wanted to make it before Asr Salaat to Wadi Bani Khalid, we could not stop over for a tour at these Camps. On our way, we saw great crags and slate-colored mountains across a landscape as barren and haunting. Then travelled through rugged landscape before arriving at the palm-filled Wadi Bani Khaled, which is justly famed for its natural beauty. We follow a well-worn path into the heart of this rocky oasis and discover a large pool fed by a natural mountain spring. 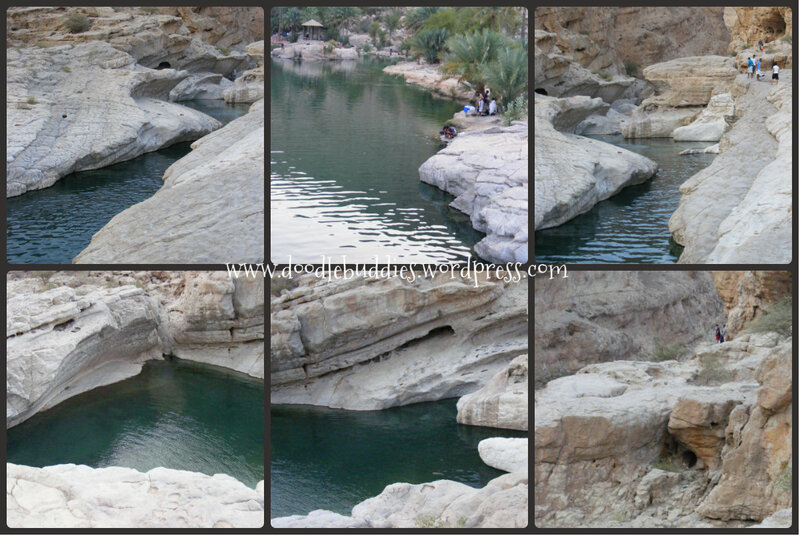 Wadi Bani Khaled is one of the most popular and most easily accessible wadi(s) in Oman. There is a large designated parking area at the entrance to the wadi and walking paths lead to a large area with pools and spots where it is possible to swim. The pedicure fishes which nibble at your feet. Apart from the lush palm trees, there are these very thorny plants, relentlessly growing from between the boulder cracks !! In the middle of miles of pristine landscapes, locals and tourists were swimming in clear emerald waters. The Eid holidays had attracted more than a fair share of visitors to the wadi. Many people had been here since morning while some were making their way out but many like us, were still pouring in, probably for an overnight camp since we could see all the overnight camping gear and large cooking utensils/mats being carried. The tourist services at the wadi are fairly developed, especially when compared to the others we saw. We made our way through the parking lot, along the path to the “developed” area and then clambered over rocks to get to the swimming area. We spent about an hour there, and it was just divine. The water was totally clear and throwing up dancing reflections on the surrounding rocks, and the little pedicure fish were busy gnawing at our toes..
Wadi(s) are ancient rocky (sometimes dry) river beds that roll down from the mountains with flaring deltas where their rivers spill into the Arabian sea. But many wadi(s) have steep walled canyons high up their mountain flanks which can flash flood with overwhelming force just minutes after a heavy rainfall sweeping away anything that moves. While the remaining stream of water flows constantly, the Wadi is also blessed with boulders that help gather large pools of water along its course. In the last pic on the right, do you see a tiny chap in red shorts ~ thats my son sawaab ~ and imagine thats me, standing on the opposite side of the cliff watching him and taking a few pics, with my heart in my throat at that moment !!! The boys and DH made their way to the Mukul Caves (Kahr Magal) while I stayed back at the pool and made good use of my camera. The boys were thrilled and exhausted after all the hiking and swimming. It was nearly dark and we had a long distance of nearly 100km to cover to Sur/Raas Al Hadd and so we started the onward journey bidding farewell to the very pristine landscape of Wadi Bani Khalid. Hope you had fun going thru this photographic journey. 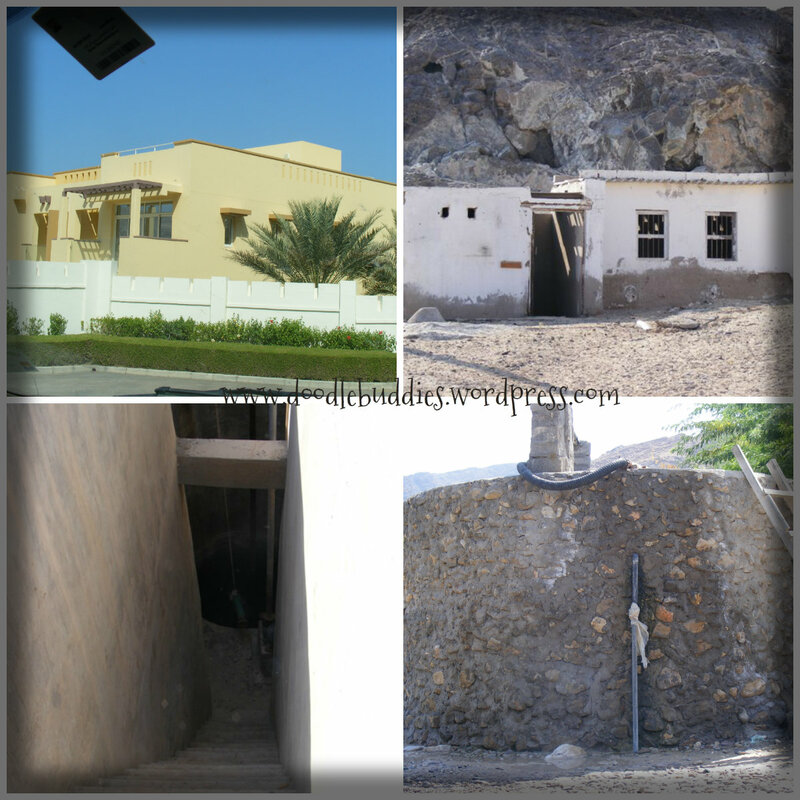 For those who are first time visitors to my blog home, We live in Arabian Ranches in Dubai. However, being a travel bug all these years, its strange that I have not logged anything about the many travels that we have made in the past. Well, let me start with the most recent one. We celebrated Eid Ul Adha or the Celebration of Sacrifise this Friday. More than 3 million muslims gathered in Mecca to commemorate the journey and sacrifise that Prophet Abraham PBUH was ready to make, when tested by Allah swt. Strangly enough, almost all the rituals in Hajj are in rememberance of Prophet Abraham PBUH (peace and blessings be upon him) and not Prophet Mohammed. Needless to say, Prophet Mohammed PBUH himself comes from the same genetic tree as that of Prophet Abraham PBUH. That is when we muslims, around the globe, celebrate Eid. Muslims have only two occasions of celebration ~ one being Eid ul Fitr and the other being Eid ul Adha. Eid ul Fitr is celebrated after the holy month of Ramadhan. After we have completed the 3o fasts of the month of Ramadhan. And Eid Ul Adha is celebrated in the Islamic month of ZilHaj, when muslims perform Hajj. This year, we decided to make the animal sacrifise in Aligarh instead of here in Dubai, as we would have, otherwise. So after the second day of Eid, Sam decided to take us to Muscat. 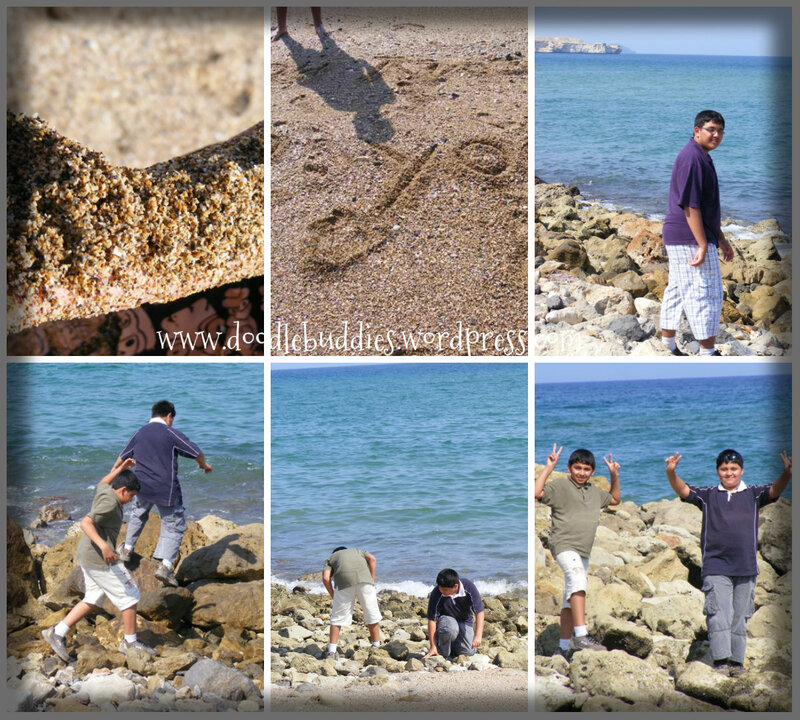 Although nothing was planned ~ we have done plenty of road trips to Oman in the past, however, ever since Sam’s surgery, this was our first trip. My Yukon truck was in good condition and the boys were super excieted coz they had not been out since our trip to Turkey. Oman has three borders with U.A.E. We have the Hatta border, the Buraimi border in Al Ain and the border which is further ahead of Ras Al Khaimah, on the way to Khasab. We used the Hatta border to enter Oman and surprisingly there was’nt a huge traffic. The Muscat Expressway Route 1 takes you all the way to Muscat. Nearly 400 kms of travelling absolutely straight. Some of the major cities enroute are Sohar, Saham, Barka, and Seeb. It took us nearly 4 hours to reach Muscat. Sadly Dubai is not blessed with many mountains but is layered with sandy dunes while Oman has fewer dunes but for the most of it, they are almost completly sourrounded by the Hajjar mountain range, gorgeous blue beaches and numerous Wadi’s. These dark roughed mountains against the beautiful blue oceans are ~ absolutely breathtaking. blue blue and some more blue ! The picture underneath is in stark contrast ~ An deserted fisherman’s home on the right and one of the more contemporary villas on the left. Also underneath are pictures of a well, that we came across on our way to Yiti beach. 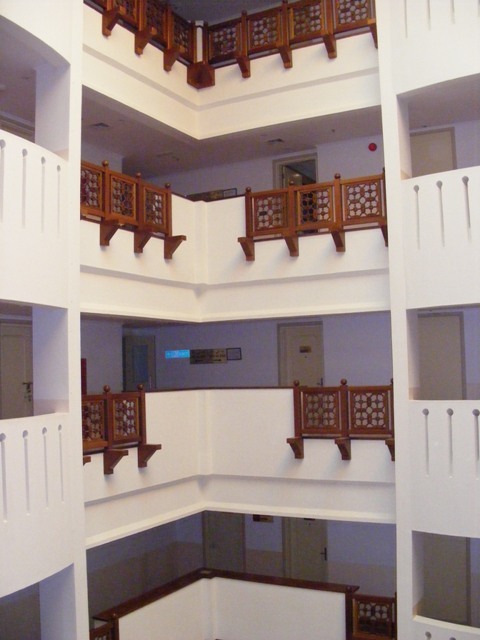 In this trip we stayed for 3 nights at the Muscat Dunes Hotel. A new hotel with studios, one and two bedroom suites. Although it is always adviceable to book in advance, having been to Muscat umpteen number of times, we decided to take a risk and luckily, we got the rooms totally by fluke since they had a couple of no shows ~ The hotel itself was excellent. Very efficient service, very large rooms with kitchen, kettle, iron stand AND WASHING MACHINE !!!! Yes, you read right, Washing machine !!! I was totally blown away by the comfort in the room. The pool was simple but good sized ~ We had to virtually drag the boys out of the pool every morning. Our room rate included breakfast which was a sumptous continental buffet. 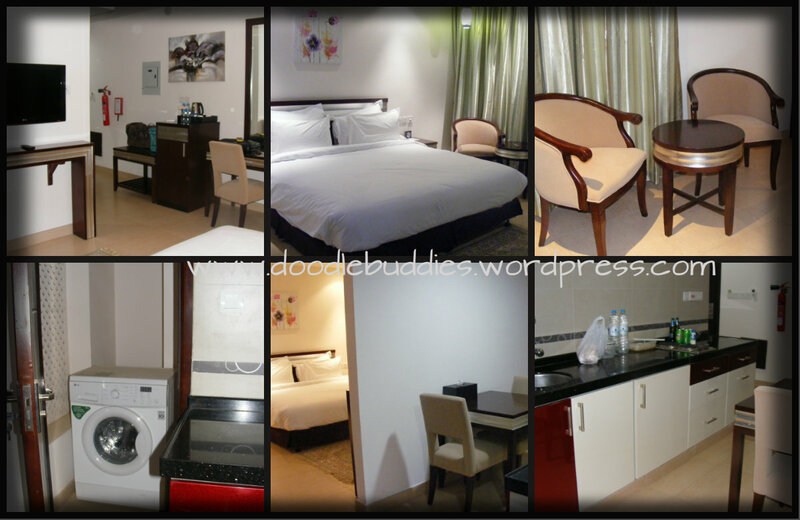 Our studio and One bedroom suite in Muscat Dunes Hotel. Ofcourse on the first day we visited Yitti/Yiti beach and so enjoyed the landscape, swimming in the beach, collecting sea shells, playing in the sand etc. The little hill popping out of the sea was a real treat. During low tide, you can actually picnic there. However come hightide and we have a totally different story to tell. 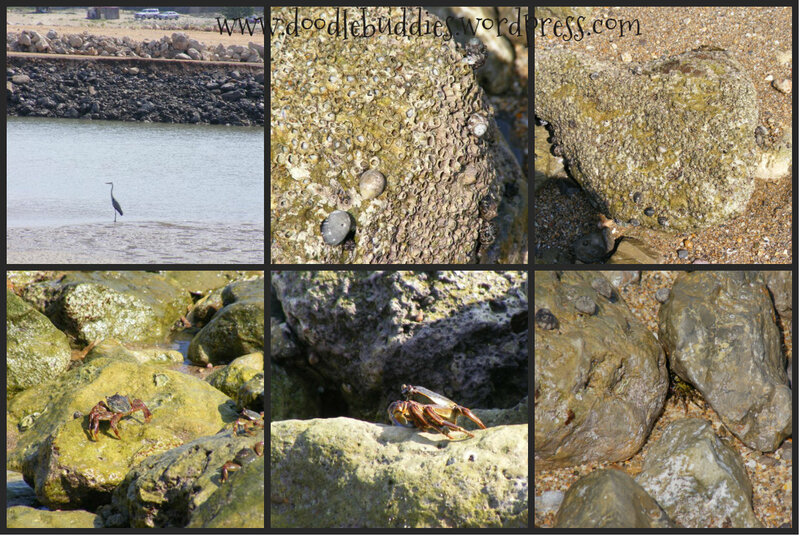 Our little beach was happily sourrounded with crabs and slugs ! None of whom seemed to bother us. Its a totally family beach and less popular than the city beaches. Yitti beach bought back many memories of a time 7-8 years back, when we had visited this same beach and our four wheel got stuck just when it was about to turn dark and the tide started to rise !!! Those days, this was an isolated place with only a tiny fishermen village at a far distance. Sam was getting so frustrated with the truck just digging deeper in the sand and perhaps what irritated him more, was that I was video shooting the whole episode !! Out of the blue, a land cruiser spotted us and two local boys in their kandooras (white long dress) popped out and most graciously toed the car out. We had the Suburban those days, and although it was a HUGE truck, the boys took total control of the cars and manoevered the sticky situation. All my tiny boys were strapped up in their car seats, oblivious of what was going on. These boys even asked us to follow them out till city limits since there were no street lights and the road just kept on twirling for miles. Such is the hospitality and generousity of true muslims !! I know in my heart, that day Allah swt sent these angels to get us out of the mess. My boys were just around 2,3 and 5 then !!! This peculiar hill stands alone at low tide and in high tide, one cannot even see the base ! Some finds on the beach ! Crabs, cranes, and slugs. And today we were there again ! But things have changed. More people visit these beaches and it didnt seem so secluded anymore and yes there are lights on the road ! Oman is alot like Dubai. However the pace of life in Oman is still relaxed and not exhaustive unlike Dubai. Oman has been blessed with super amazing topography ! Its a tourist paradise in terms of landscape. This year, we were so pleased to see the brilliant network of road system the Government has established. Its made travelling so much more easier, convienient and less time-consuming. However, I just wished they had a more efficient road mapping system. The road signs are not exactly tourist-friendly. All the regular fast food joints like Hardees, Mcdonalds, Burger King, Pizza Hut and Pizza Inn. In addition to these food outlets, they also had Al Safadi and Automatic restaurant also ! Ofcourse, the presence of Lu Lu Hypermarket and Carrefour make life so much easier ! Although Arabic and swahili is spoken commonly, most locals speak English. 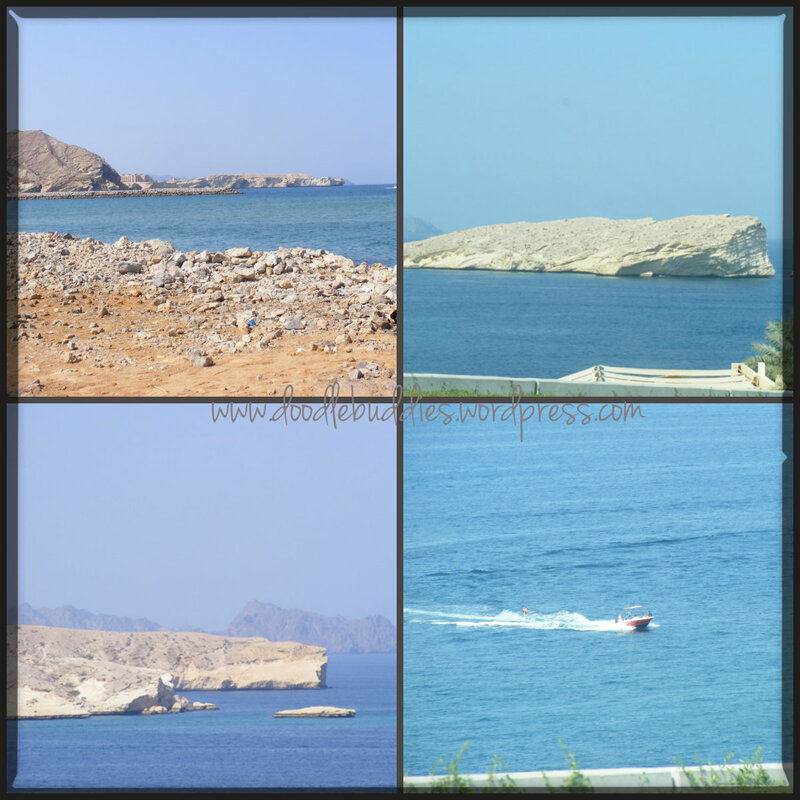 So that was our first day in Muscat ~ well spent on two different beaches and long drives ! We had shawarma ~ which is probably the most consumed “meal” in the Gulf. We seemed to have some dark clouds which bought so many hopes of some showers ! We turned in early since we had to leave early the next day for Wadi Bani Khalid. I’ll continue about Day 2 in my next post. I hope you found this post informative and interesting. Where ever you may be living, Oman is surely a place worth a visit. You’ll be surprised how much it has to offer !